Kelly Mauger, WI Cookery School Manager, regales us with how she and Katie Churchard first got involved in Bake Off: The Professionals. Let me take you back to last Autumn, Katie Churchard (nee Johnson) and myself excitedly filled out our application form for ‘Bake Off: The Professionals’, with no idea of what would be in store over the next few months. It had previously been called ‘Bake Off Crème De La Crème’ on BBC2 but now it was moving to Channel 4 with a new name and shake up as it was now teams of two, not teams of three. 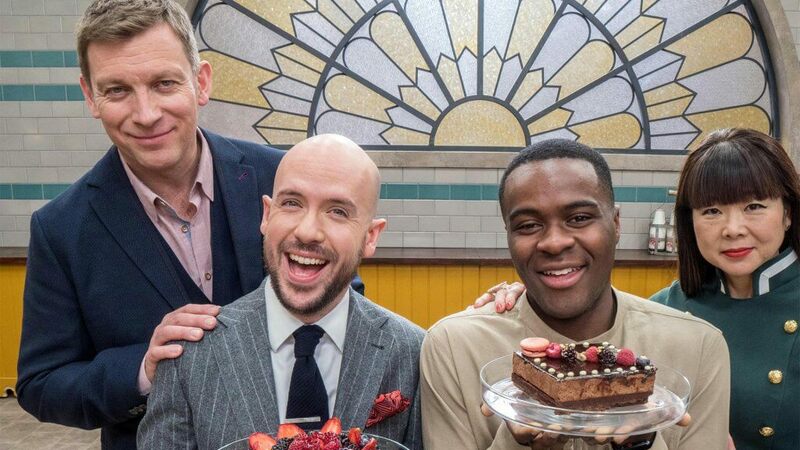 Later we discovered the incredibly difficult to please judges Benoit Blin and Cherish Finden remained, however we were getting new hosts, the sharply dressed comedian Tom Allen and the ‘The Great British Bake Off’ favourite from 2017, Liam Charles. Our biggest challenges would be living over 100 miles apart, juggling work with bake off and also family life. Thankfully Katie and I had overwhelming support from our families, friends and work colleagues. Everybody said it was an opportunity not to be missed and now all we had to do was keep it a secret! Filming the show was a fascinating experience. We were the purple team and our chef whites were glorious! We first met Mustapha and Kevin from ‘The Clink’ and Graham and Dean from ‘Silverstone’, becoming immediate friends. We then met the other lovely competitors in our heat; Slav and Maria from ‘R Chocolate’, Leanne and Romain from ‘Hotel Café Royal’ and Eddie and Mashid from ‘The Savoy’. It was wonderful to finally meet other people who had been on the same journey, to discover what they had been up to and were relieved to hear about some of the other struggles they’d faced. Soon after we went to the kitchen, which was stunning. The colour theme was teal with mustard and we had state of the art equipment to use. I was pleased to see familiar Magimix equipment which we use in the cookery school too! We faced challenges that were within our comfort zones and yet also miles out of them. 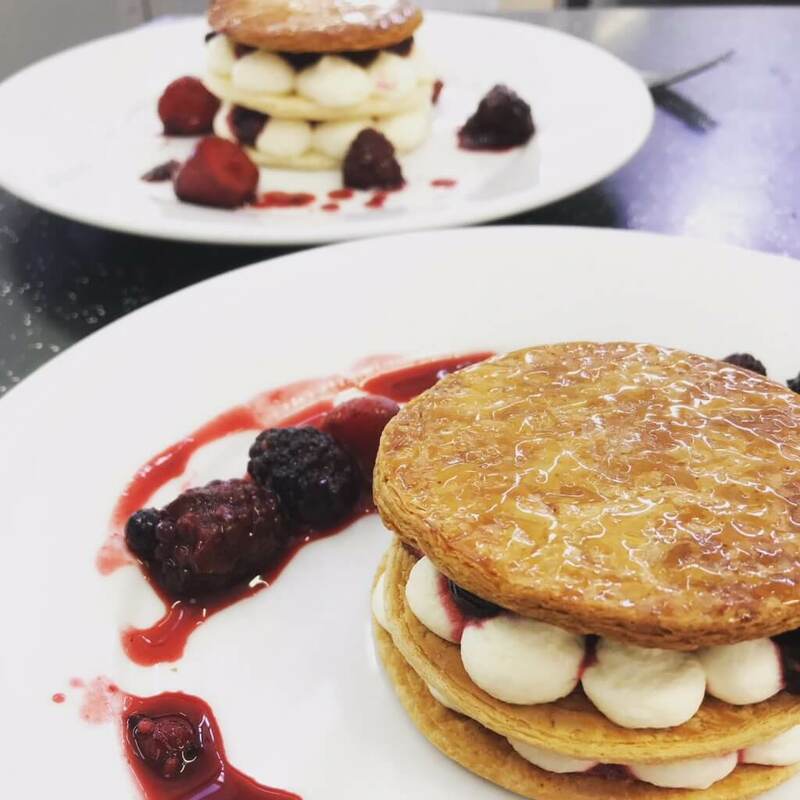 We stretched our skills, learned new skills and also learned from each other, reigniting our passion for Patisserie. So here we are over six months down the line. Our elusiveness over this time can finally be explained and we get to see the show! There were laughs, tears, topples, injuries and plan B’s along the way, hopefully making for some very entertaining viewing! We wanted to convey the fun and friendship that is central to the WI ethos and that we think is integral to the atmosphere to our courses at the ‘The WI Cookery School’. I hope that everybody enjoys watching ‘Bake Off: The Professionals’ as much as we enjoyed making it and I hope that we have done our students, WI members, families, friends and work colleagues proud! 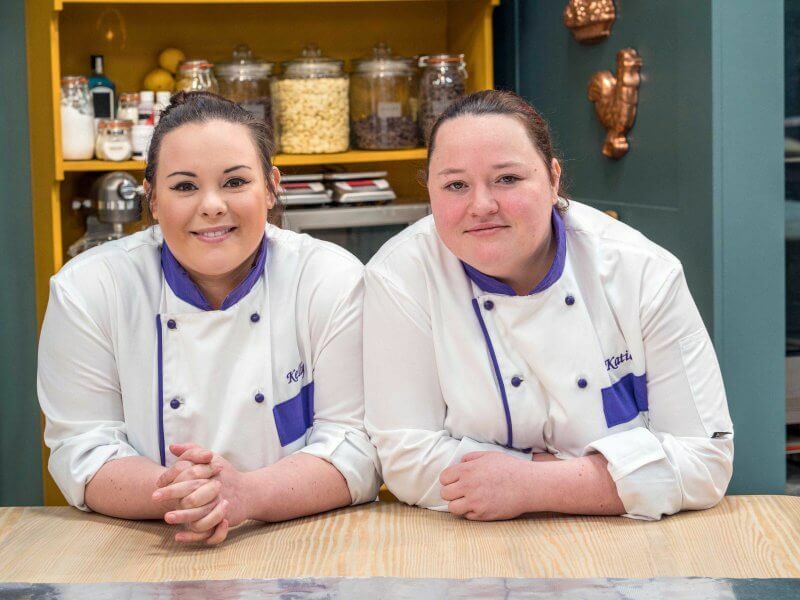 First episode with Kelly and Katie airs on Sunday 27th May 2018 at 8pm on Channel 4.